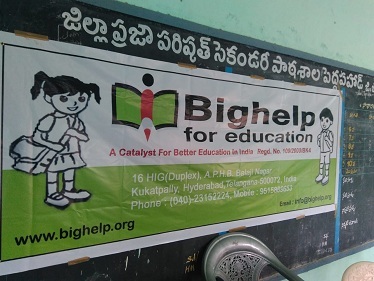 Bighelp donated 25 benches with desks for students of Zilla Parishad High School Peddapahad, Jangaon district. 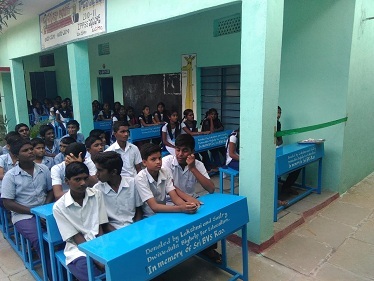 This school serves 104 it only has 20 classroom benches which are not sufficient for all of the children to sit on. 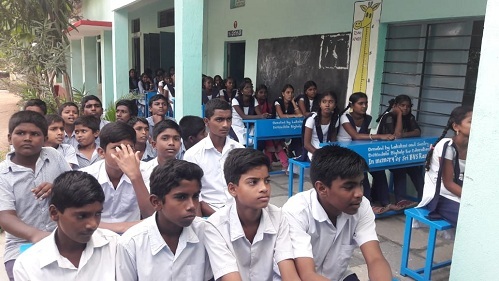 Hence most of the children sit on the floor in their classrooms, cross legged all day making them uncomfortable and causing their legs to radiate pain. 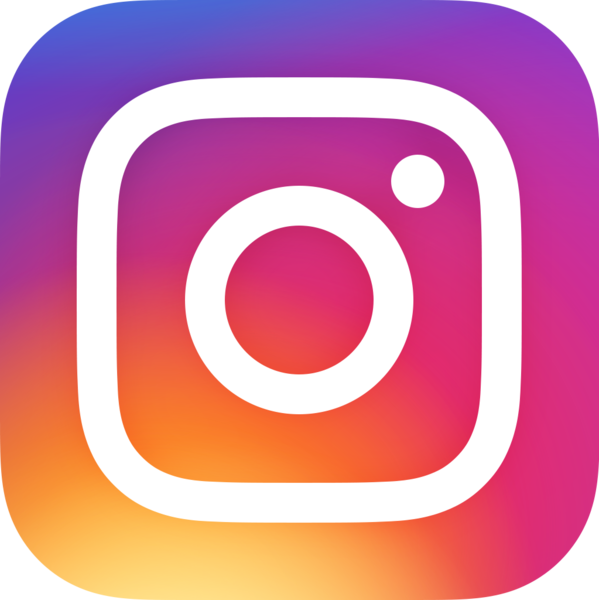 This causes children to focus less on the lessons and more on the pain. 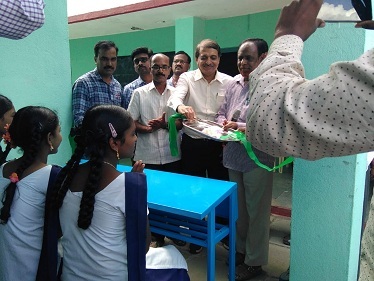 The school head master of Zilla Parishad High School, Peddapahad approached Bighelp to provide benches to alleviate the problem being faced by the students. Mr. B.N. Mohan relative of donor visited the school, and reviewed the needs of the Children. The executive body headed by the Bighelp President Mr. Chand Pasha has reviewed the need for the support and approved the project. 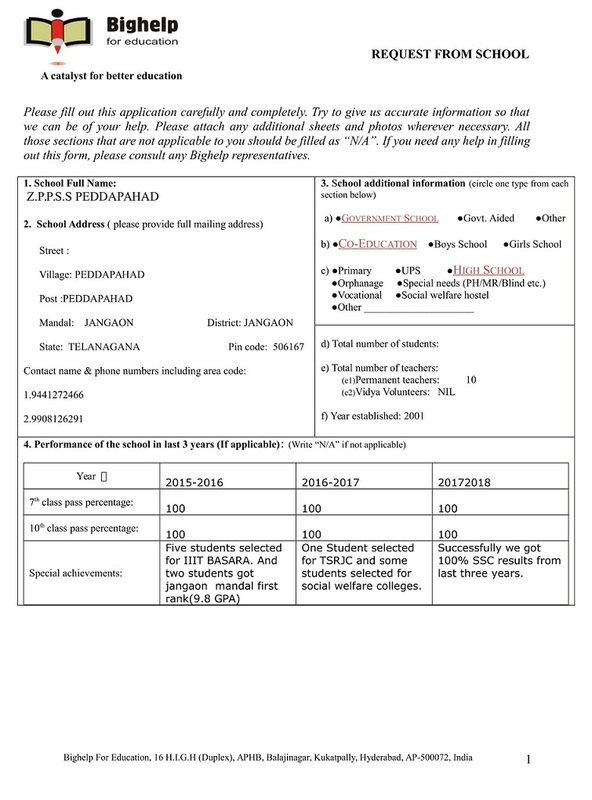 Peddapahad village is located in Jangaon district of Telangana, India. It is situated 12km away from district headquarter Jangaon and 67km away from Warangal. 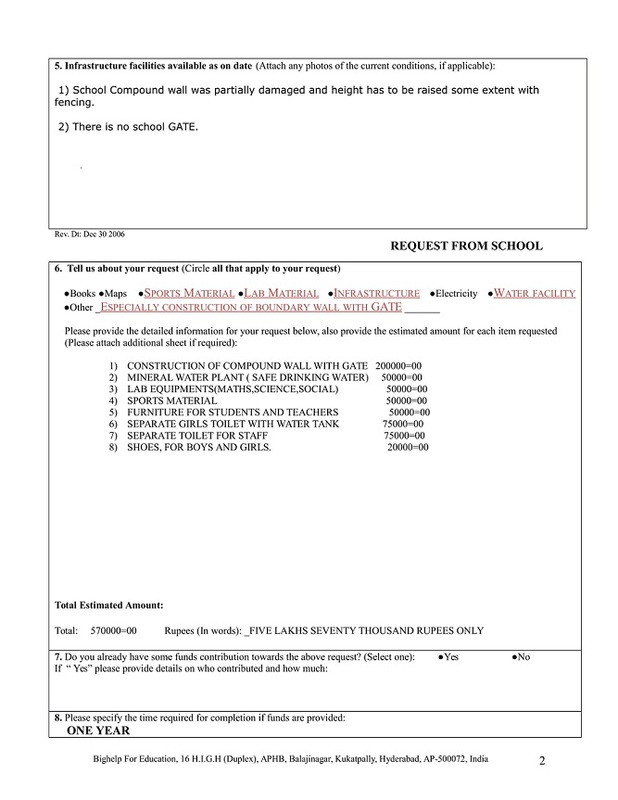 Zilla Parishad High School is situated in Peddapahad village. 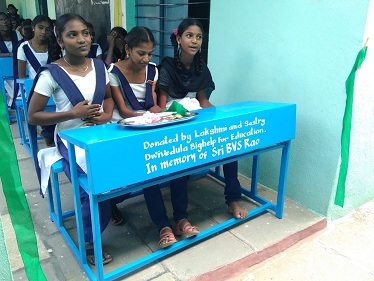 It is co-education school with present strength of 104 students and 10 teachers. 1 Mr. Md.Kaza Badruddin M.E.O. 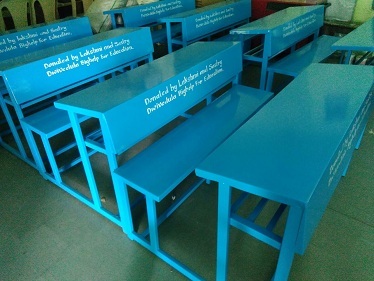 Duel desks presented to School by M.E.O.